Do you want to teach your child as well as entertain? Author Paula Allene Stark helps you do just that with History from A to Z. The fun and entertaining characters help bring the history of Abraham Lincoln, Babe Ruth, Cleopatra, Davy Crockett, Eleanor Roosevelt and others to life. Parents can have fun teaching their children history with these interactive read to me books. Start your collection of history with Abraham the Alligator, Babe the Bear, Cleo the Cat, Davy the Dog, Eleanor the Eagle. 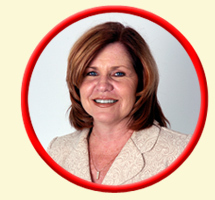 Paula Allene Stark is a community newspaper publisher in Kissimmee, Florida. She has worked her way up over 27 years from advertising account executive to advertising manager and now publisher. She is very involved in her community and believes in early education. She attended FTU ( now the University of Central Florida). She has two sons Nick and Taylor and Aidan her first grandson. Stark is a resident of St. Cloud, Florida. © 2011 Stark Productions, Inc. All Rights Reserved.